MFJ has an impressive record of commissioning that includes 92 world premieres, mainly by Japanese composers. Many of the works have received repeat performances around the world, such as the quartet For You I Sing This Song by Yuji Takahashi and Guardian Angel for string orchestra by Karen Tanaka. A consistent theme has been the incorporation of traditional Japanese instruments into modern scores. Miura and Ono were both born in Japan, he in Fukushima, she in Nagano. Miura still spends much of the year in Fukushima City, where he is the mayor’s music and culture adviser and professor emeritus at Fukushima College. In July, MFJ presented concerts in Tokyo and Fukushima as part of U.S.-Canada-Japan “Encounters in Music,” a cultural exchange that brought to Japan music critics and composers from the U.S. and Canada. 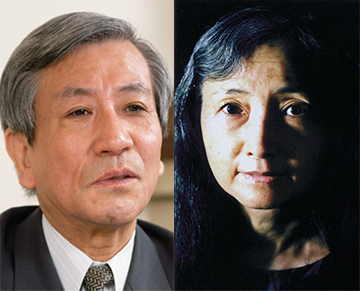 MFJ’s Festival 2019, held in March in New York, will showcase music of composer-in-residence Yumi Saiki as well as works by Japanese composers influenced by John Cage.